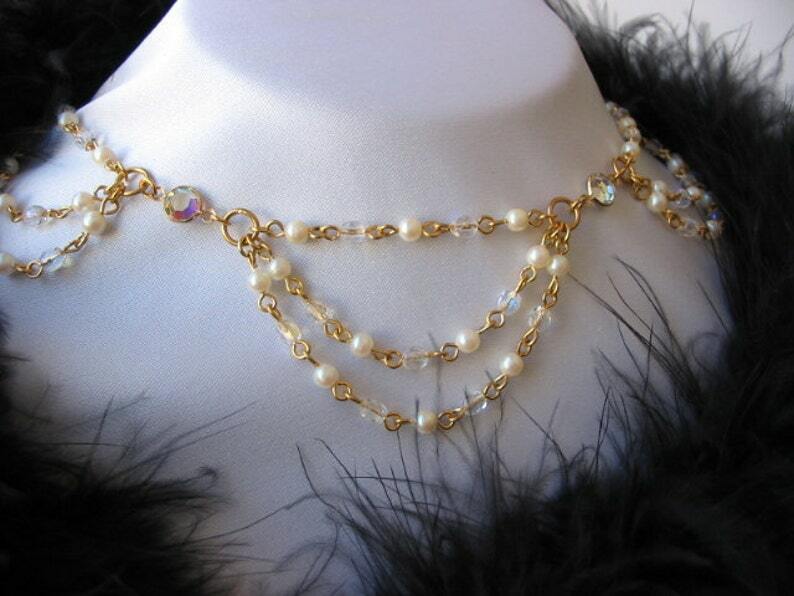 This necklace design has such a stimulating effect when it's worn, it almost takes you back in time with all it's inspired Victorain flare to it. It's it so stunning and divine with it's combinations of glass pearls and fire-poilshed faceted glass, it truly flows so smoothly. Gorgeous! This necklace is as beautiful as it looks in the picture. Gold Fringe Rhinestone Necklace, Gold Chain Crystal Choker, Gold Tassel Necklace, Gold Choker Chain Fringe, Gold Choker Necklace, ON SALE! Wire Wrapped Beaded Ring, Sterling Silver Red Flower Beaded Ring, Braided Ring, Sterling Silver Rings, Handmade, Size 8, Unique, ON SALE!! !